Xiaomi Youpin is the E-Commerce platform of Xiaomi group and keeps growing during the past years. After developing more than 9 years, Xiaomi has become of the largest Internet and high-technology companies in China, which is not only successful domestically but also famous in India market. Currently, Xiaomi ranks 1st place in terms of sales volume in India market. Besides the smartphone business, Xiaomi also owns Xiaomi Youpin (小米优品), which is its E-commerce platform based on the Xiaomi ecological chain. It takes Youpin several years to become one of the largest E-commerce platforms in China. During 2018, the revenue of Youpin increased 2.6 times that of 2017, and the daily active users (DAU) increased 200% compared with that of 2017. The total revenue of Xiaomi Youpin occupies 4.1% of the gross Internet business of Xiaomi Group, with a YOY growth rate of 427.6%. Youpin started from the Xiaomi intelligent home. Several years ago, the business model of Xiaomi’s smartphone was imitated by other companies, and lots of the Xiaomi’s market share was taken by others. In order to enlarge the production line of Xiaomi, LEI Jun (雷军), the founder and CEO of Xiaomi published the Xiaomi smart home, and a lot of intelligent items are designed afterward. With the development of 4G at that time, Xiaomi smart home gained a great success and gradually grow into the Xiaomi ecological chain. At the very beginning, only some kinds of mobile phone fittings are sold on Youpin. Currently, there are lots of smart devices and smart home facilities are sold on Youpin, and it has become one of the most popular E-commerce platforms in China. Youpin is targeting to young people who have consumption abilities. These white-collars have special requirements of the quality of the products and the exquisite degree of industrial design, and that’s where Youpin makes a difference. Comparing with Taobao and JD.com, which are two of the largest E-commerce platforms in China, Youpin has a higher requirement of the products on sale and try to attract young customers. Youpin combines offline stores and online stores together to explore the E-commerce market. There are 36,256 offline stores of Youpin, which is an amazing number for an E-commerce platform. In addition, Youpin is enlarging its products line. From electronic devices to white goods, Youpin keeps offering high-quality products to consumers. With the offline store, consumers could have a direct look at the products and get the first-hand experience, which they cannot achieve that in Taobao and JD.com. Xiaomi attracts its fans with the mobile phone. In 2018, Xiaomi sold 118.7 million mobile phones and most of its consumers used to buy products on Youpin. With the high quality of Xiaomi mobile phone, users believe that products sold on Youpin have a high-quality endorsement of Xiaomi. Popular products such as Xiaoai, the smart speaker of Xiaomi, were sold more than 100 million after its publication. 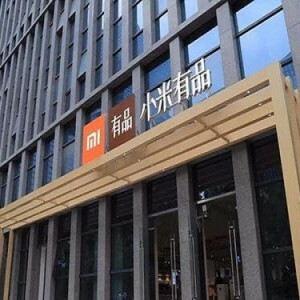 With the Xiaomi’s “mobile phone + AIoT” strategy, more and more IoT related products would be sold on Youpin and the E-commerce platform may keep growing in the future.